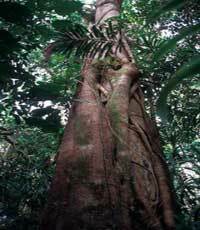 Merbau Hardwood Flooring is a great option for any home because it is very strong and highly resistant to termites. 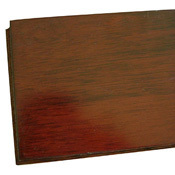 This wood has recieved a Janka Hardness Rating of 1712, so it on the middle to high end of the spectrum. over its lifetime. When freshly cut, this wood can be a yellowish to orange-brown color, but will probably darken to a brown or red-brown. Something that makes this wood a little more individual in appearance is that the pores may show yellow flecking. Merbau is almost as stable as Teak wood, but is as strong as Hickory. Merbau is one of the most stable flooring options on the market to date. Marbau is also fairly coarse in texture. 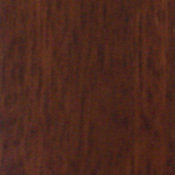 Merbau usually shows a straight to slightly interlocked, wavy grain. 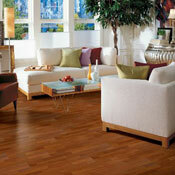 Merbau is a great flooring option because it is very stable, looks beautiful, and is very strong. You can find Merbau products at Owen Carpet, and if you have any questions please call 1-800-626-6936. These are some Merbau Products we offer.